A statement issued by the Pulitzer Prize Board said that Diaz, a Pulitzer Prize-winning author and creative writing professor, had himself wanted to step down from the role, to which he was elected in April on the basis of seniority. According to the statement, Diaz remains on the board and he has welcomed the review and will cooperate fully with it. The Board also announced that it will arrange an independent review of the assault allegations against author Junot Diaz. Last week on Twitter, author Zinzi Clemmons said that Diaz forcibly kissed her several years ago. Following her, writers Carmen Maria Machado and Monica Byrne also tweeted even they had received inappropriate and aggressive behavior from Diaz. The Cambridge Public Library also announced Wednesday it has cancelled its annual Summer Reading Kick-Off featuring Diaz. 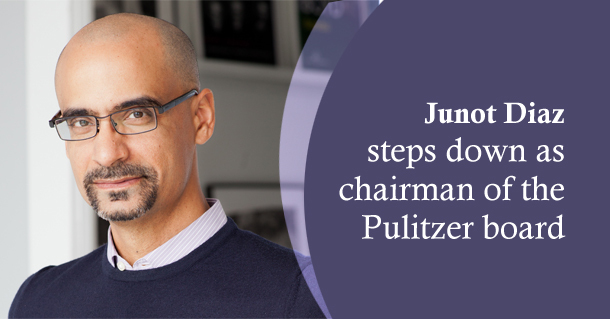 The role of the chairman has been resumed by Eugene Robinson, the board’s immediate past chairman on an interim basis, The Pulitzer board said.